Tai Chi is an ancient Chinese exercise, developed by physicians to improve people’s health. It’s slow, smooth movements make it easy on the joints, and help develop a person’s balance, flexibility and sense of relaxation. The exercises in this tape have been specially adapted to make them easier to learn. 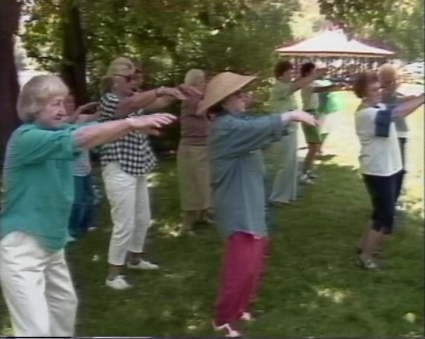 The tape includes information on the health benefits of Tai Chi, safely guidelines, detailed descriptions of the movements as modeled by 76 year old Shizu lofton and footage of Ms. Lofton leading a group of seniors in the exercise.